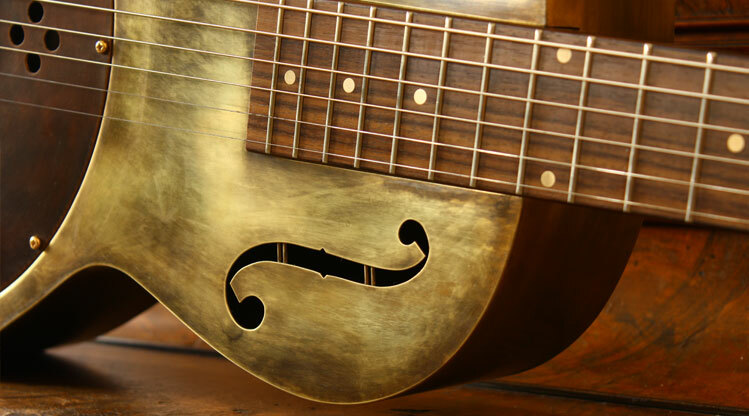 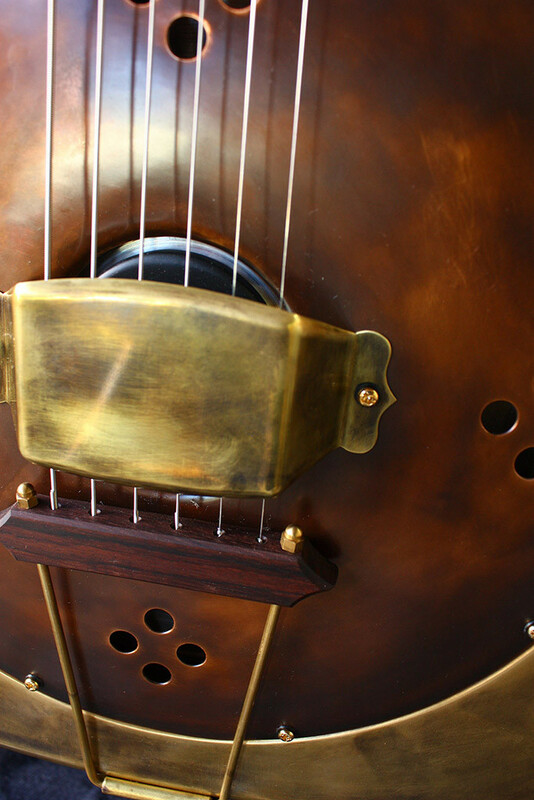 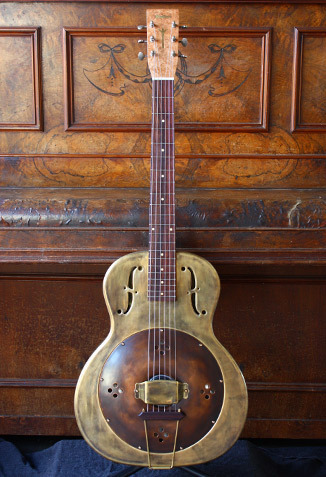 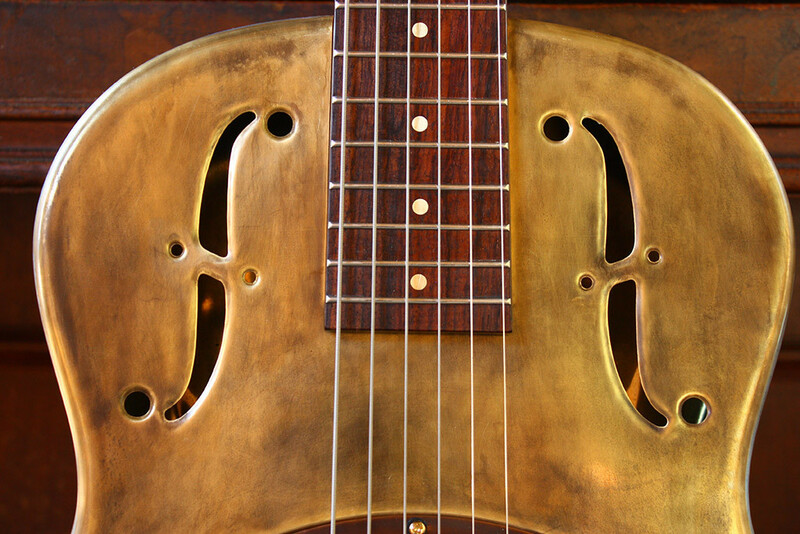 The bright tone of Brass gives long sustained notes and that classic Resonator sound. 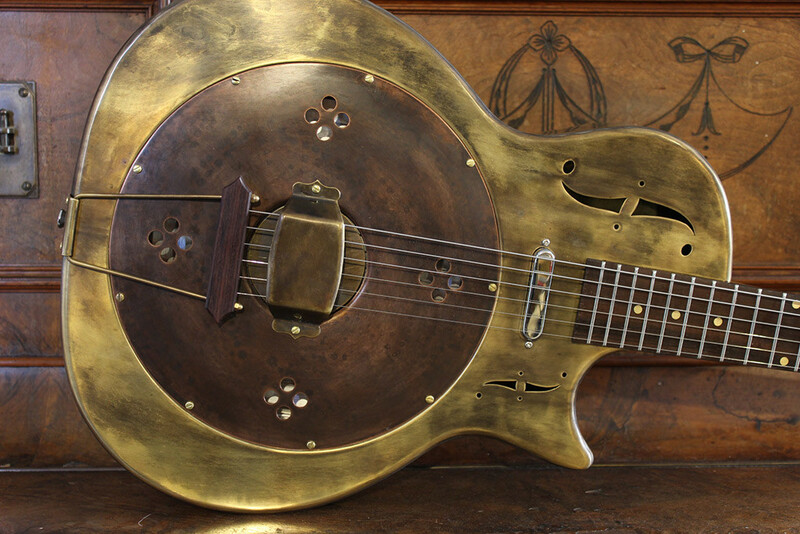 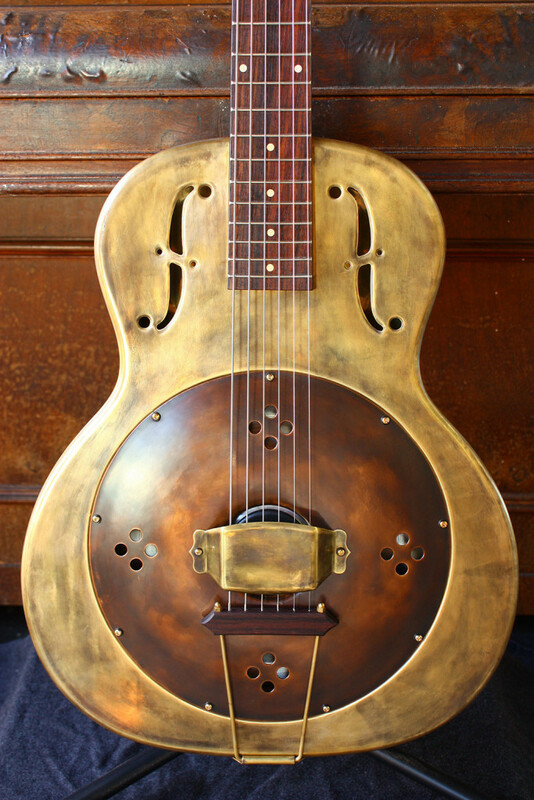 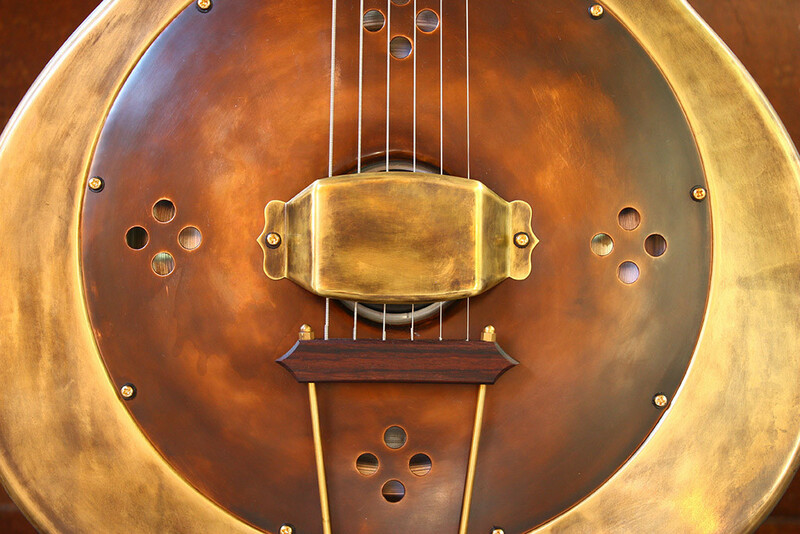 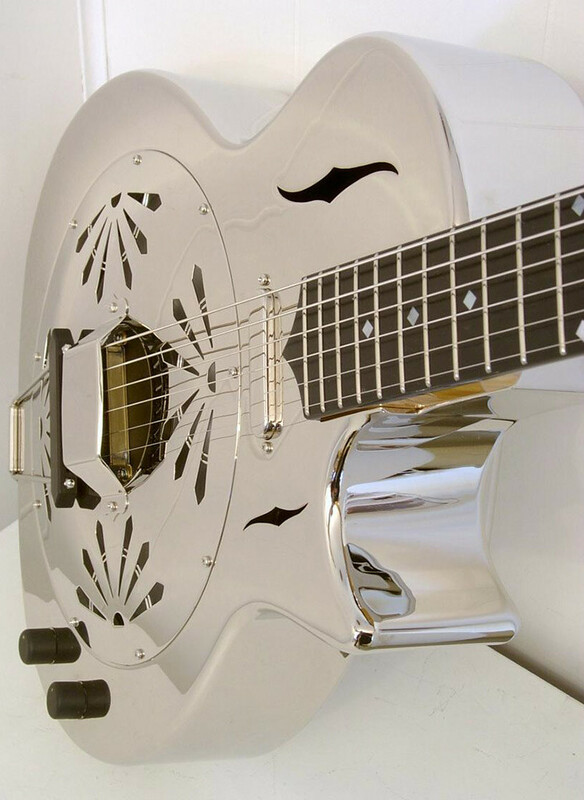 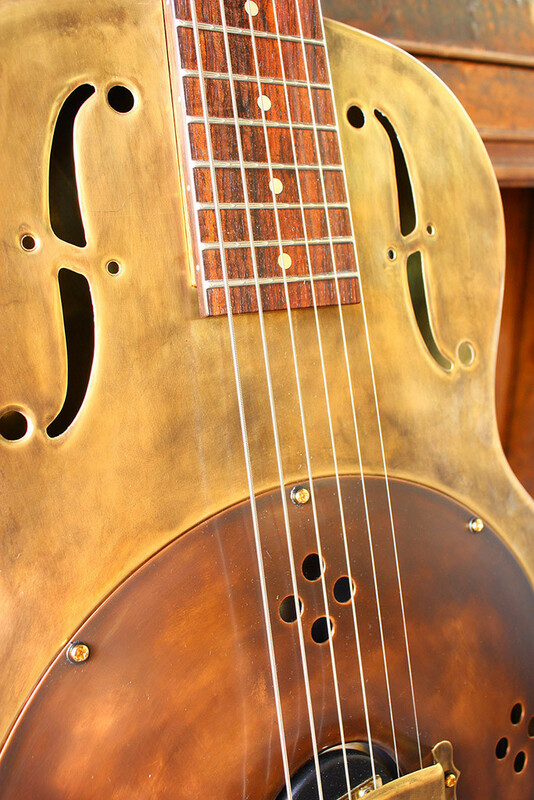 This model is a 14 frets to the body Brass Resonator Guitar. 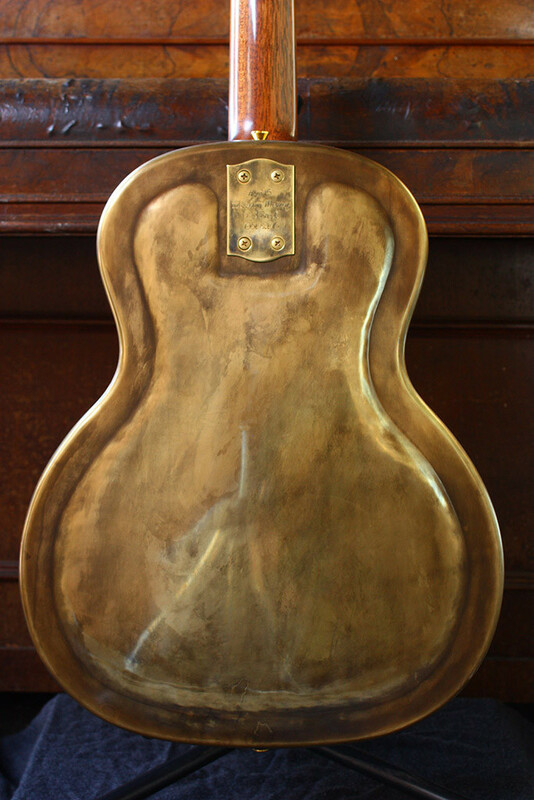 It comes in 3 different finishes, Polished Brass, Antique Brass and Nickel plated. 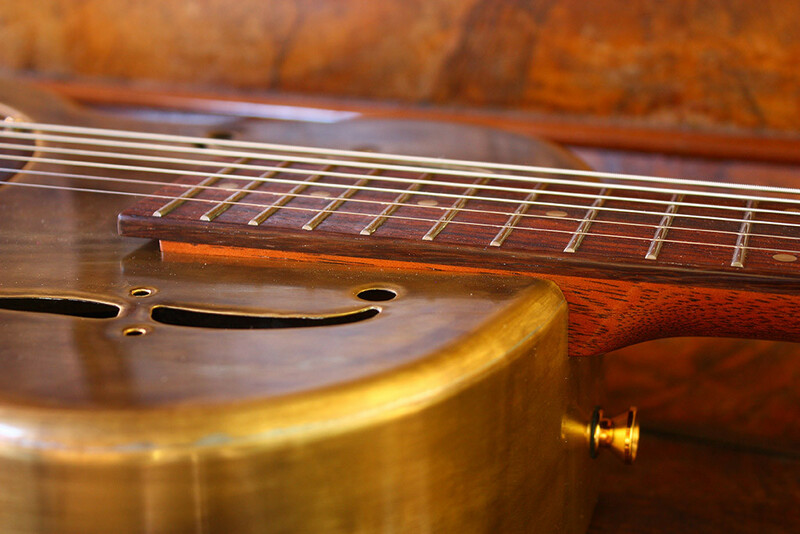 The Neck is Mahogany or Curly Maple with a Rosewood Fingerboard. 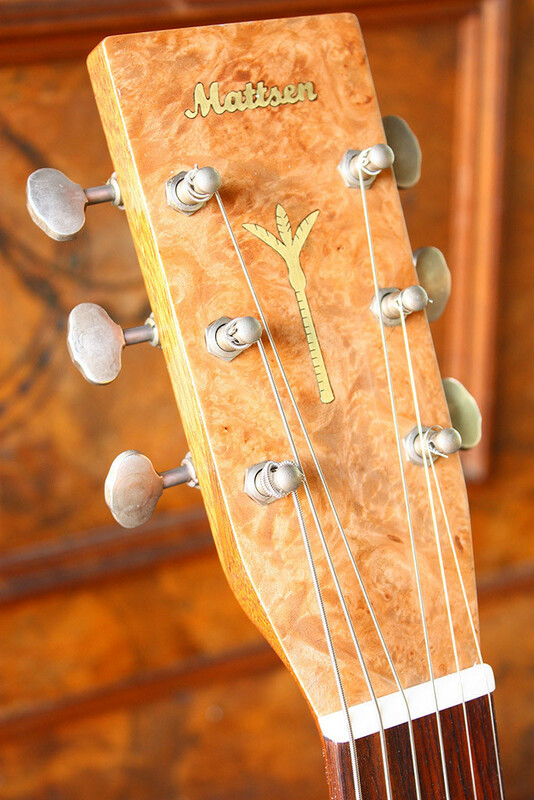 The Headstock is veneered with Maple Burl and then Inlayed with Brass. 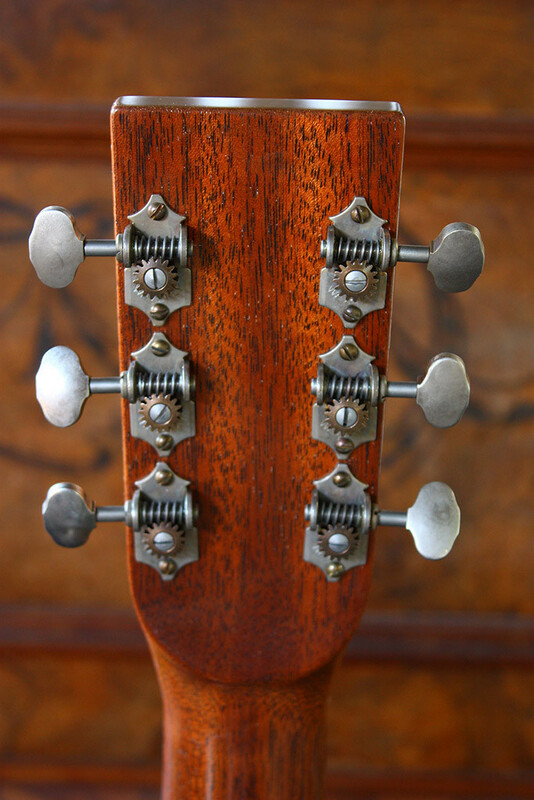 The Tuners are by Waverley. 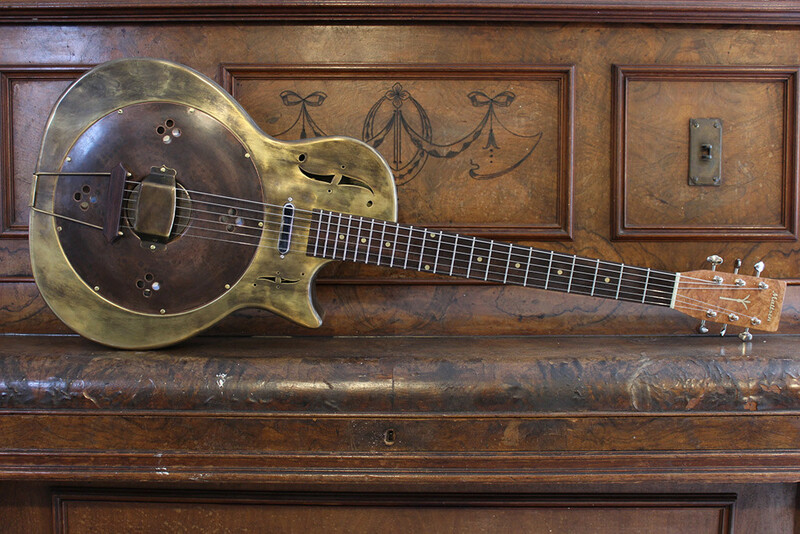 I also make a Cutaway model for greater access to the upper frets and add pickups suited to your requirements.